The Top Shelf Band was formed by the illustrious Fred Snow and is the perfect ensemble to bring to life the intimate, up-close-and-personal space that is our Nightjar. Thank you Fred. Since 2004, The Top Shelf Band has made appearances the length and breadth of the U.K. & Europe, Brazil & Australia. 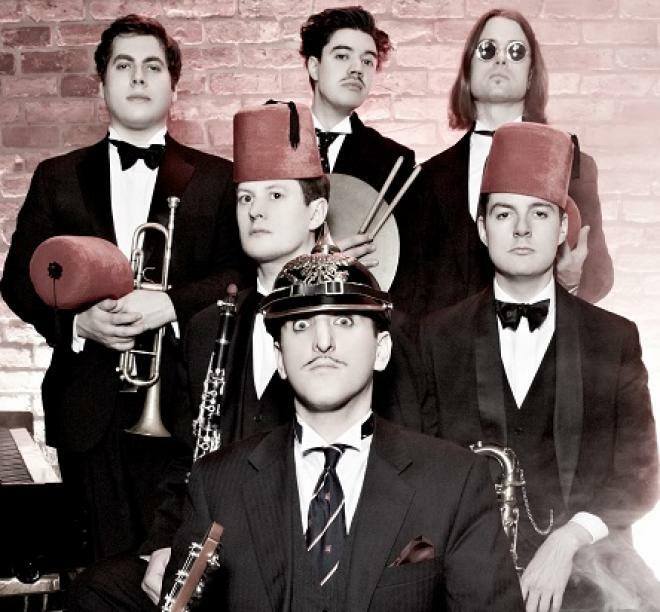 They have replaced Jools Holland in his absence; closed Glastonbury 2011; been hired by Mark Ronson and have already supported Camille O’Sullivan, Paloma Faith & Buena Vista Social Club. This swinging cocktail lounge quintet consists of a rhythm section and three soloists, pumping out their Filthy Swing for all and sundry.